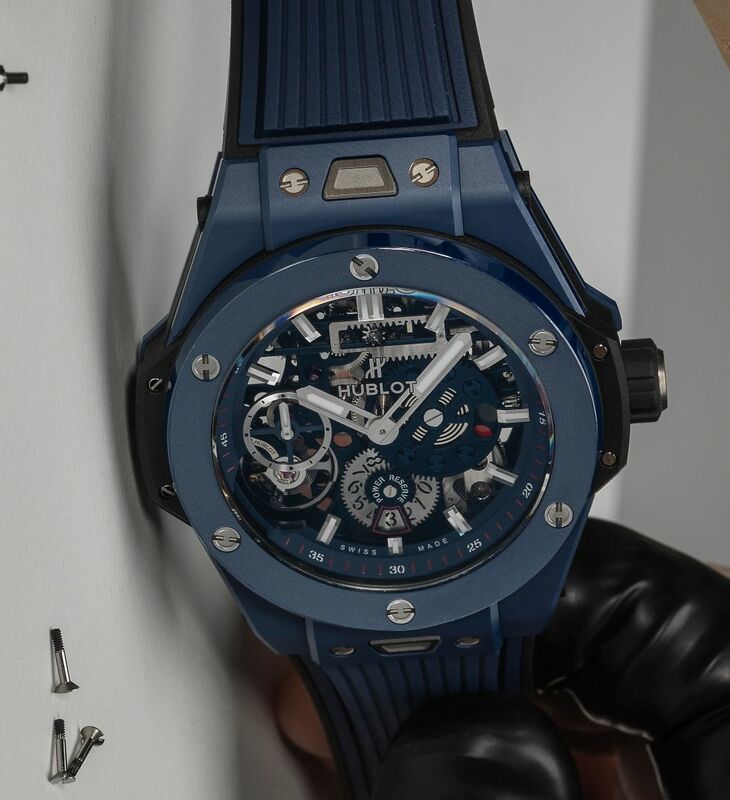 For Ricardo Guadalupe, CEO of Hublot, this new Big Bang captures the brand's essence in all respects: "Made at our modern and perfectly integrated factory, the Big Bang Meca-10 demonstrates the complete mastery we have of our industrial resources, from R&D to the creation of calibres, high-tech cases, and innovative materials." The case, in indigo blue ceramic, measures 45mm x 15.9mm. It has an AR-coated sapphire crystal and it is water resistant to 100 meters. Movement is the Swiss manual-wind Hublot in-house caliber HUB1201 with 24 jewels, 21,600 vph and a power reserve of 10 days. 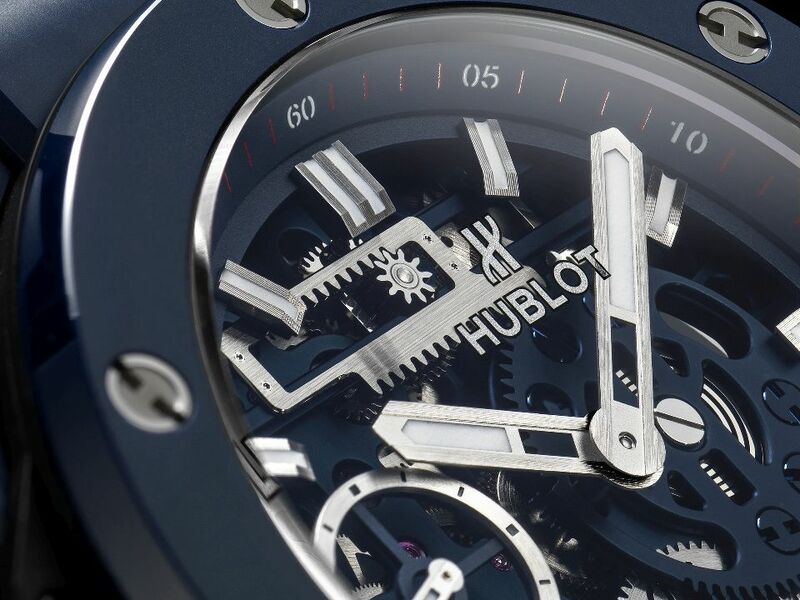 The bridges are blue-plated and it has a polished rhodium-plated balance. 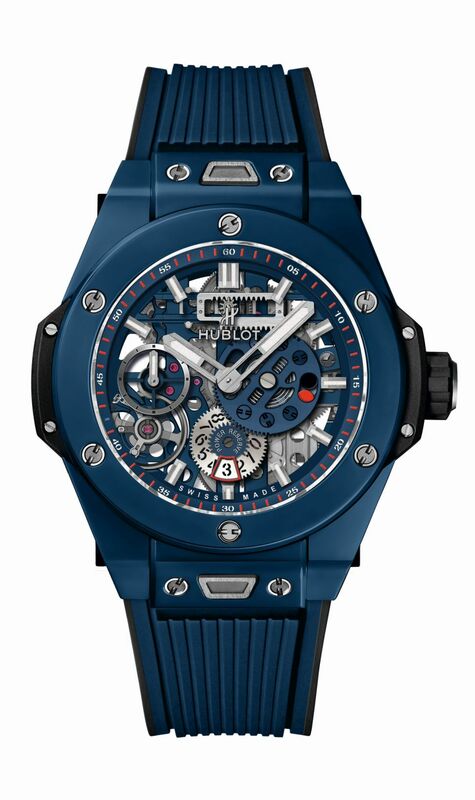 The dial is matte blue, skeletonized, with luminous hands. It has two barrels parallel to the power reserve indicator: a cogwheel system with two rakes sliding along a horizontal axis. 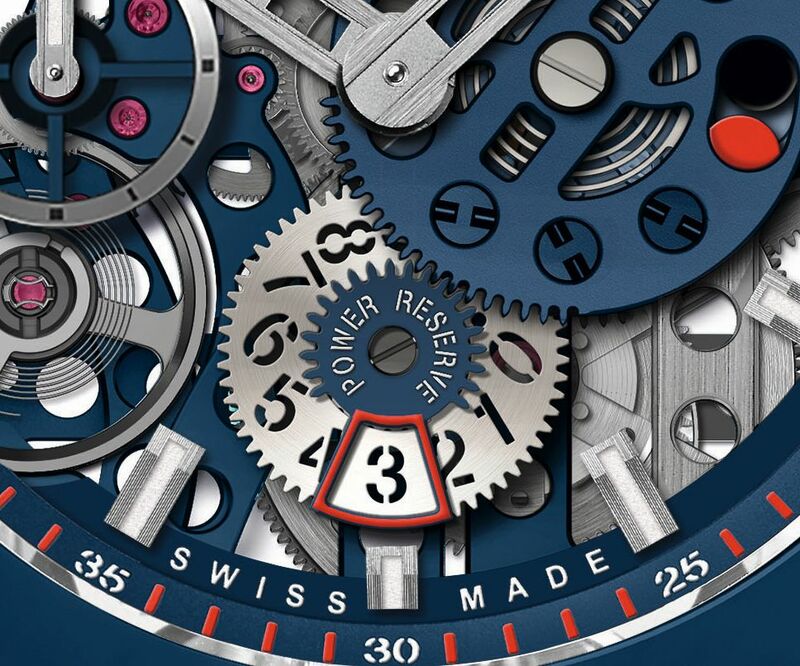 An opening at 3 o'clock unveils a red dot when the movement is nearing the final days of its power reserve, while a gearwheel at 6 o'clock indicates the exact number of days remaining and the regulating organ, coupled with the small second regulator, appears at 7 o'clock. 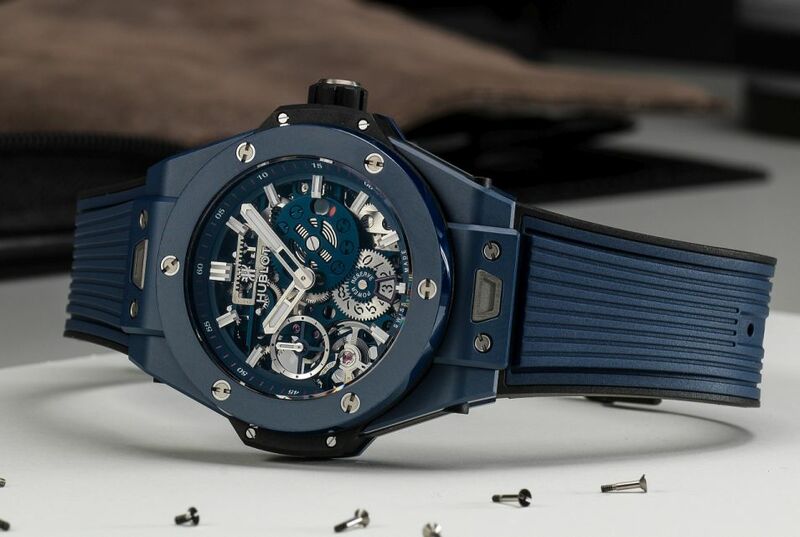 It comes on a blue and black rubber strap with a titanium and ceramic deployant. Next Topic: Rather a new Jones PW but at least something different.